Your generosity created another success story through a 21st Century Grant! We recently visited McAuliffe S.T.E.M. Academy and Mr. Terry Highfield’s 4th grade class! Mr. Highfield received a grant from The Success Foundation in 2015-16 to purchase iPads and was awarded another grant in 2016-17 to purchase LEGO® Education WeDo 2.0 kits. By combining the two grant projects, the students at McAuliffe S.T.E.M. Academy have a new innovative learning opportunity! 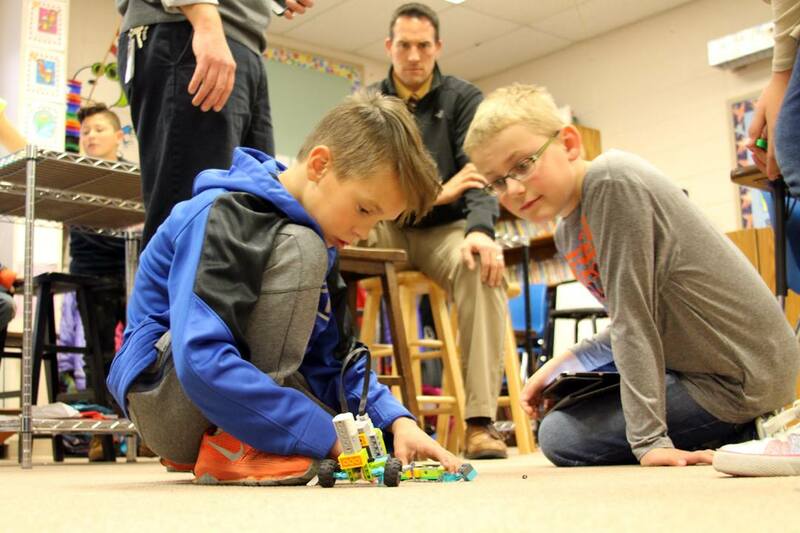 Students work in small groups to build functional LEGO® robots based on a guided program on the iPads. After the designated task is completed, they have the opportunity to make improvements to the robot by adding better wheels or other pieces to improve efficiency. Students can also use their iPads to program the robot in different ways. Once students feel they have created the most efficient robot, the next class period is used to collaborate as an entire class. We got to see students in the first phase of building a “pulling” robot but the next step was for them to combine all robots to see how much more “pulling” power they had together. 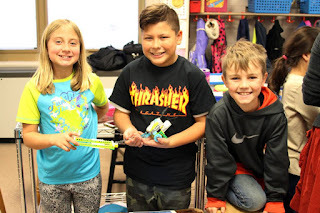 This innovative learning model allows students to work in small groups and as a class, make real world connections by thinking of other machines that do similar tasks, link the projects to other curriculum requirements and encourages creativity. 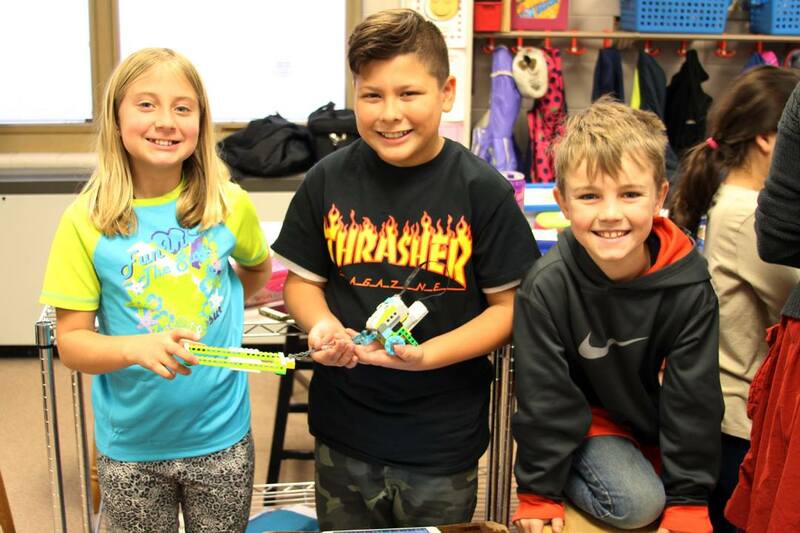 Once Mr. Highfield’s 4th grade class masters the LEGO® Education WeDo 2.0 kits, he plans to have them teach other grade levels so the program will continue to grow! Thank you to Mr. Highfield and McAuliffe S.T.E.M. Academy for allowing us to see the great work you are doing. And thank you to the generous donors of The Success Foundation for making these opportunities possible for our teachers and students in District 6!